The iconic ‘90s duo is back in the groove with all-new presents to help them navigate this wack planet ”Earth” and retrieve all the lost pieces to the Rapmaster Rocket. Team up for co-op play to discover secret locations, hidden presents and new friends. How do you define Toejam and Earl? It’s almost impossible, but the main objective in Back in the Groove is to gather spaceship parts across randomly generated levels either solo or in co-op, collecting presents that either help or hinder your progress and so on. That description in itself may seem simplistic, but there’s so much random going on with the game that it’s hard to even put into words. It’s more closely related to the original game than the sequels, which is where most fans would argue is the stronger of the entries. 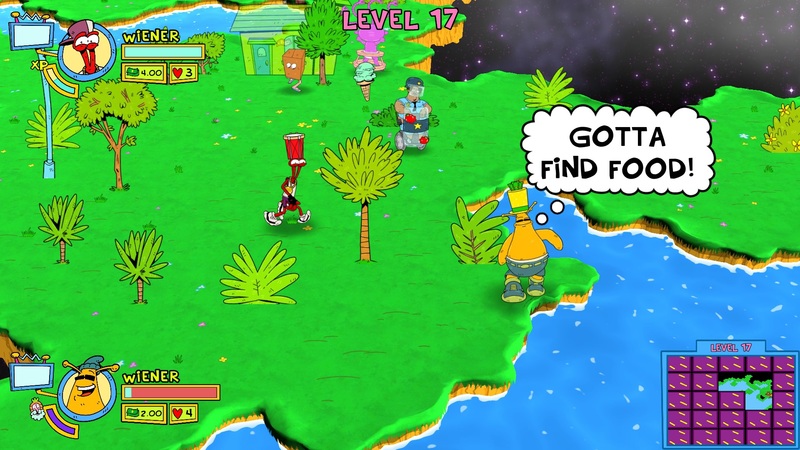 Back in the Groove was made possible thanks to a successful Kickstarter, so there’s definitely still quite a fanbase out there for the weird “hip” duo and even though games may have moved on in terms of design, Toejam and Earl is a nice throwback to the random nature of old-school games. The visual style is cel-shaded with an almost comic-book/kids cartoon feel to it. The load times are a little on the long side, but it runs smoothly and looks impressive. I’ve played it both solo and in co-op and both are very different experiences, but both are highly fun either way. I mean it’s not exactly clear what you are doing other than gathering spaceship parts and opening random presents, but it never stops being fun. 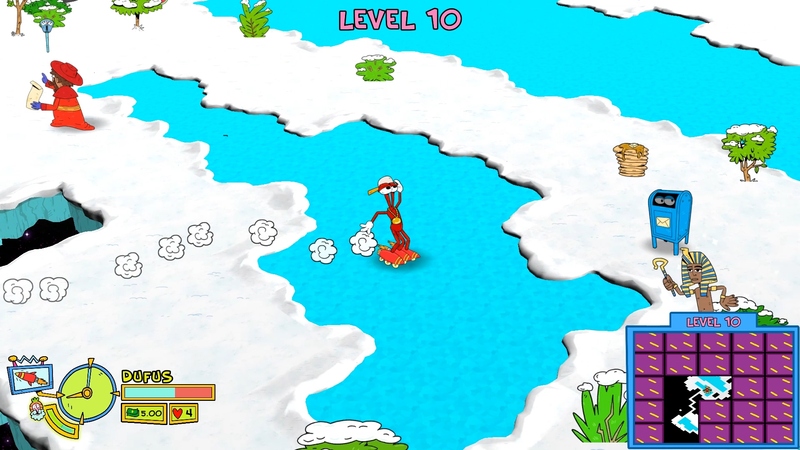 Toejam and Earl: Back in the Groove is a nice throwback to 90s nostalgia and just plain crazy, random game design. It may not be to everyone’s tastes since it’s hard to define exactly what sort of game it is, but it’s definitely memorable and the Kickstarter success just goes to show there’s still plenty of life left in this series.